We offer the most comprehensive suite of Search Engine Marketing Manchester has to offer with components covering all areas of search. This may include Pay Per Click (PPC). Cost Per Acquisition (CPA) but also Cost Per Impression Clicks (CPM) which is used more by advertisers wishing to get their message in front of as many people as possible rather than focusing on just click-throughs. Think of this type of marketing as an advertising hoarding. For this reason, it often used side by side with Display Advertising especially on Google extended Display Network and of course on Facebook whee visually appealing advertising works much better than simple text. 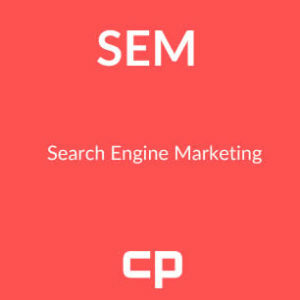 SEM also covers the Remarketing which is possibly the most exciting break though since Search Marketing began. We can help you choose the right combination of SEM for your business which may even include Video marketing as well through Vimeo, YouTube and ‘ self-hosted’ naked video on Facebook or Wistia. We will talk with you to establish the correct balance of marketing techniques. Advise and implement PPC models – CPC (Cost Per Click), CPA (Cost Per Acquisition) or CPM (Cost Per Impression). Advise and implement Display Advertising – images tend to attract more visitors on certain platforms. Is video advertising right for you and in what environment.? Is it better to advertise on YouTube for click through or use self hosting to enhance SEO? We will help craft the perfect mix for your business whatever the type to give you the best visibility in search, whatever the platform. Budgeting – whether you want to work with an overall budget or break it down by platform. You need to be in control of your costs at this level to work out your return on investment. Simple contact us for more via our Contact Carousel Projects page.